Werner's Cairns blog: THE LEMON, WHAT AN AMAZING FRUIT. Since I enjoy a lemon drink with honey everyday, the following article about frozen lemons caught my eye and, it makes sense to me; using the whole lemon instead only squeezing them and waste half of it. Lemon peels contain a spectrum of vitamins, minerals and fibre that can give your menu a nutritional boost and flavour. This article is supplementary to a previous posting. Start your day with a lemon. Boost your health with a lemon, they alkalise your system which contributes to good health.. Although lemon is thought of as an acidic fruit, it is highly alkalizing once it goes into your body. This means that it helps your body to be in a state that is more balanced and health-creating. 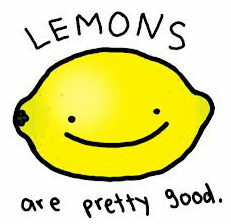 Mores interesting links about lemon, just click on them. And 22 Uses for Lemon Peels. Amazing frozen lemons! All it is...is a frozen lemon. entire lemon and nothing is wasted. How can you use the whole lemon without waste? Simple; place the washed lemon in the freezer section of your refrigerator. Once the lemon is frozen, get your grater, and shred the whole lemon (no need to peel it) and sprinkle it on top of your foods. All of the foods will unexpectedly have a wonderful taste, something that you may have never tasted before. Most likely, you only think of lemon juice and vitamin C. Not anymore. Now that you've learned this lemon secret, you can use lemon even in instant cup noodles. But from now on, by following this simple procedure of freezing the wholelemon, then grating it on top of your dishes, you can consume all of those nutrients and get even healthier. toxic elements in the body. healthier and longer! That's the lemon secret! Better late than never, right? The surprising benefits of lemon! Lemon (Citrus) is a miraculous product to kill cancer cells. It is 10,000 times stronger than chemotherapy. Some say it isvery useful in all variants of cancer. It is considered also as an anti microbial spectrum against bacterial infections and fungi, effective against internal parasites and worms, it regulates blood pressure which is too high and an antidepressant that combats stress and nervous disorders. largest drug manufacturers in the world, says that after more than 20 laboratory tests since 1970, the extracts revealed that It destroys the malignant cells in 12 cancers, including colon, breast, prostate, lung and pancreas... The compounds of this tree showed 10,000 times better than the product Adriamycin, a drug normally used chemotherapeutic in the world, slowing the growth of cancer cells. And what is even more astonishing: this type of therapy with lemon extract only destroys malignant cancer cells and it does not affect healthy cells. So, give those lemons a good wash, freeze them and grate them. Your whole body will love you for it!!!!! * * * * * *How to make a comment, read annotation, below. Werner, I have been following your blog for a long some time, and must say that all your postings are extremely interesting and informative. By the way I’m an English teacher in Germany and I often use your articles in our class and let the students analyse the subject matter. Your postings contain vernaculars and that is also important to us. Keep up the good work. Thanks for the lemon tips ...Reading further, about the pocket knife and the tree.... reminded me of a great saying that I always use. I used to say it to my kids when they were young. “It is better to close your mouth, and appear foolish, than to open it, and remove all doubt! I Hope they still remember it. I found this posting extremely interesting. I always thought that lemons are merely used for a refreshing drink and to squeeze the lemon juice on fish. I had no idea that there was more to a lemon than meets they eye. I really enjoy reading your informative blog, Werner.